The twelfth anniversary of the 9/11 attacks is coming up in two short weeks – and with it will come a memorial service for Danny Levi, an Israeli-born firefighter who lost his life due to health damage sustained as he tried save victims at the World Trade Center. Danny's brother, Tzahi Levi,a firefighter in Rishon Lezion, is organizing a memorial service for his brother on the first anniversary of his death at age 54. Tzachi Levi said that his brother had lived in the New York area. A firefighter turned air conditioning installer, Danny Levi was head of the volunteer fire department in a Long Island suburb. When terrorists crashed planes into the World Trade Center, Levi, like thousands of other rescue workers, rushed to Ground Zero to try and help out. Levi was indeed able to help many people get away from the destruction, but he sustained heavy health damage from the poisonous gases released during the explosions at Ground Zero. About a month after 9/11, he was diagnosed with a serious immune system problem that would eventually kill him. He was recognized by the U.S. as being a rescuer victim of the attack, and he died last January after many years of suffering due to his condition. According to Tzahi, his brother never regretted what he did, saying that he would rush back into the flames if he had to. "He was a hero who leaves behind an important legacy to his family, and to all people,” he said. 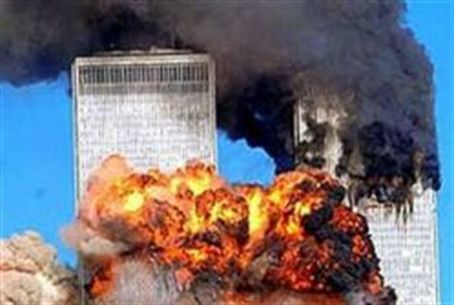 Flags will be lowered to half-mast at the memorial service in Rishon Lezion, which will take place on September 11.